In the post-Civil War era, Spain’s problem with regional nationalism seemed dominated by Basque separatists. Yet, as recent events show, Barcelona is now the epicentre of the biggest issue facing the Madrid government – an issue with deep historical roots. 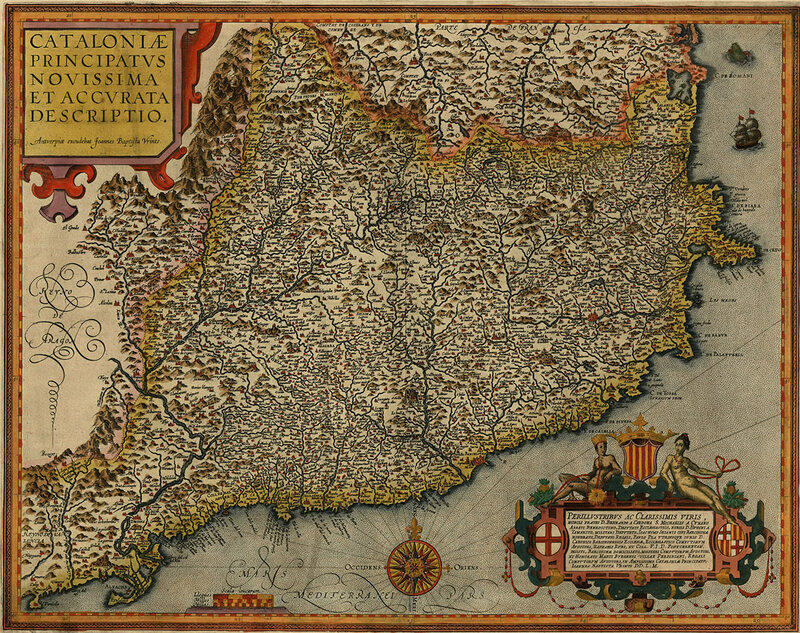 Map of Catalonia, Jan Baptist Vrients, 1608. In October 2017, the decades-long tussle between the Catalan capital Barcelona and the central Spanish government in Madrid – formerly low intensity and relatively containable – bubbled over into ugly scenes following an unofficial referendum on the question of Catalan independence. A survey conducted 40 years earlier in 1977 had revealed that just five per cent of Catalans were then in favour of independence; by 2005 the figure had risen to just 12 per cent. At the referendum of 1 October 2017 – declared illegal by the Madrid government in September – 92 per cent of the ‘electorate’ voted in favour of an independent Catalan state. For casual observers of Spain, the recent events in Catalonia might seem to have suddenly appeared as a fully formed major political issue. Many people will have visited Barcelona; many will be familiar with Catalonia’s major cultural figures, Salvador Dalí or Antoni Gaudí, for example. Far fewer will know the historical roots of the political problem currently bothering the southern periphery of Europe. In October, the Catalan question exploded onto the world news agenda. How did we get here? In the late middle ages, Catalonia – a region comprising the north-eastern corner of the Iberian peninsula – was a central component in the Crown of Aragon, a confederation of kingdoms that controlled eastern Spain, much of the Mediterranean and southern Italy. With Barcelona as Aragon’s de facto capital, the region was a significant Mediterranean power and the 14th and 15th centuries were a golden age for Catalan culture and political influence. After the marriage of Ferdinand II of Aragon and Isabella I of Castile – the ‘Catholic Monarchs’ – in 1469, Catalonia, as part of Aragon, became united in a royal union with the Kingdom of Castile in 1474. This was not a forced unification. The relationship between Castile and Aragon was more like the Austro-Hungarian confederation than the English incorporation of Wales, or that of Brittany by France. The dynastic union of Ferdinand and Isabella in the late 15th century did not create a culturally homogenous Spanish state. The Catalan language retained a high status as did Catalan literary and cultural expressions. Knowledge of Catalan was required to progress socially. During Spain’s ‘Golden Age’, the country dominated Europe in the 16th century and the larger part of it, Castile, dominated Spain. The royal court was moved to Madrid by Philip II in 1561. By this point Castile had over five times the population of Aragon. A long period of Catalan decline began, marked by peasant rebellion, plague and war between its nobility, all of which greatly weakened the Catalan economy. In 1640 Catalonia rebelled against political centralisation from Castile. In the same period Portugal broke with Spain having been joined in a union since 1580. The Catalan Revolt was defeated, however. After the conclusion of the Thirty Years War in 1648, conflict between France and Spain continued until the Treaty of the Pyrenees in 1659, by which point Spain was in precipitous decline and France was Europe’s dominant military power under Louis XIV. As part of the Treaty, Spain lost territory to France, including the northern part of Catalonia. With this, one fifth of the Catalan population was lost. French ‘Northern Catalonia’ is an area still evoked as terra irredenta by many Catalans today. Political centralisation from Madrid continued: the Catalan language was increasingly subject to a range of restrictions beginning in 1677. By the mid-18th century, it had largely disappeared from the public sphere. Then, in 1701, Spain’s weakness was starkly revealed by the War of the Spanish Succession, caused when the Spanish King Charles II died without an heir in 1700. 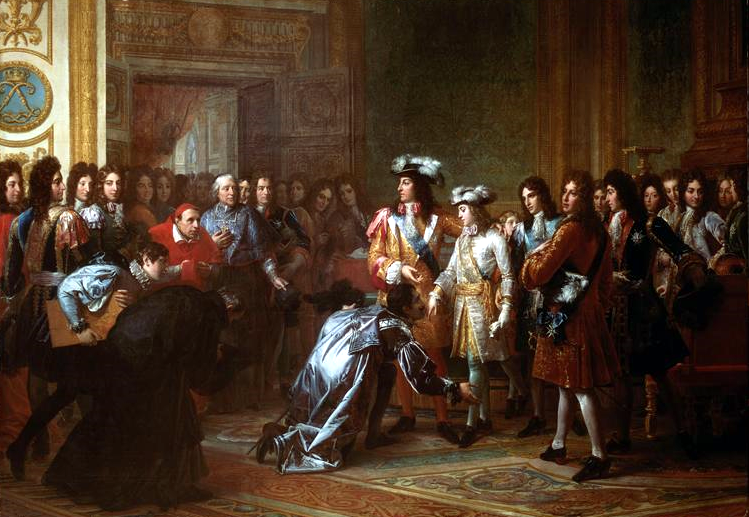 Two of Europe’s leading monarchical powers, the House of Habsburg led by Austria, and the Bourbons led by France, fought to place their candidate on the Spanish throne, with the French candidate Philip V (the Duke of Anjou) crowned on 1 November 1700. The victory of the French Bourbon Dynasty represented a severe defeat for Catalonia, as well as the other territories of Aragon. It meant that Spain would henceforth follow the centralising French state tradition, which aimed to gradually erode regional differences. Barcelona was besieged and occupied. The date of the city’s conquest, 11 September 1714, was instituted as Catalonia’s national day, the Diada, in the late 19th century. From this period onwards, the major political and economic decisions concerning Catalonia were made in Madrid. For the next 200 years, Spain followed closely the French project of centralisation under an absolutist monarchy with the imposition of a centralised state model. After the French Revolution, the early modern Spanish state attempted to fend off its own decline through further centralisation. By the middle of the 19th century, Catalonia’s economic contrast with the rest of Spain was clear. Early industrialisation and a prominent role in the textiles trade meant that the region contributed 22 per cent of Spain’s industry, while Madrid contributed just three per cent. As the century proceeded, Barcelona bore more parallels with Milan than Madrid in terms of its advanced industrialisation. 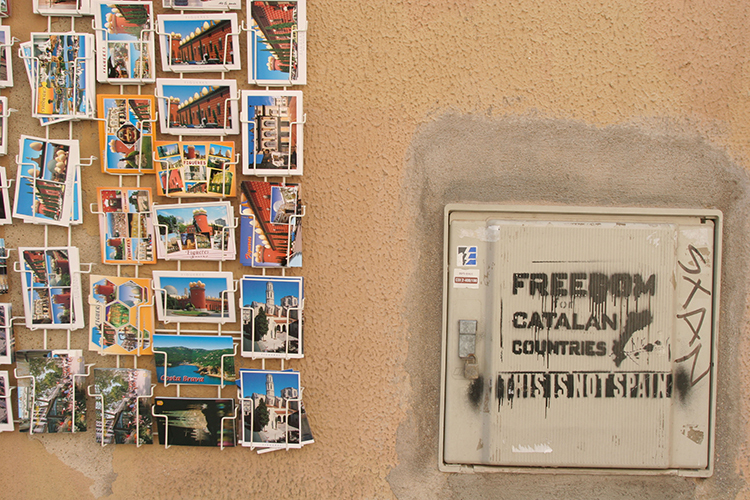 In the late 19th century, Europe’s Age of Nationalism, a cultural and political project we might call ‘Catalanism’ emerged in contrast to a Spain that was marked by isolation and backwardness. At the turn of the 20th century, the leading theorist of political Catalanism, Enric Prat de la Riba, described Catalans as Spaniards who ‘wish to construct a different Spain’. The Catalanist project emerged in the first three decades of the 20th century. Aside from its industrial power, Catalonia was also distinctive due to the existence of a unique labour movement – centred on anarchism – which clashed frequently with Catalan nationalists. 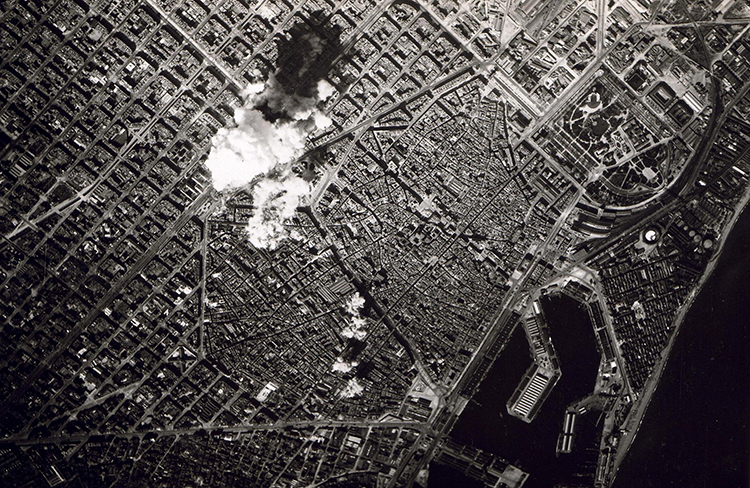 In the 20th century Barcelona increasingly came to symbolise intense political violence and class conflict. No Spanish city experienced more political violence and the Spanish military and police stepped in to perform suppressive roles frequently between 1902 and 1923. Yet Catalan nationalism was different from that of the Basque Country, where commitment to independence was the ultimate goal. During the early decades of the 20th century, the Lliga Regionalista (Regionalist League) was the dominant Catalan political force. It was a political movement that sought Catalan leadership in Spain rather than the break-up of the country. Both Catalonia and northern Italy saw themselves as modernising forces against the indolent, bureaucratic and often corrupt capitals of Madrid and Rome. Both regions also saw themselves as representing a political and cultural vanguard against illiteracy, landlordism and backwardness. Existing northern Italian and Catalan senses of superiority towards their respective southern brethren have their roots here. There is, however, one key difference: unlike northern Italy, Catalonia possesses a distinctive language and cultural identity. In 1898 Spain suffered military defeats to the United States, losing its remaining overseas territories. The vulnerability of the ‘Spanish Fatherland’ made the central authorities in Madrid particularly conscious of ‘internal enemies’; Catalonia and the Basque Country salient among them. Fears regarding the country’s dismemberment are deeply rooted in Spain: for Spanish nationalists, Catalonia is Spain, a truth which the Madrid government’s response to the events of October 2017 makes clear. The conflict over differing conceptions of Spain – and the role of national diversity within it – was brought to a head in 1936 with the outbreak of Civil War. Franco’s victory in 1939 was a victory for Spanish nationalism. His establishment of a long-lasting dictatorship sought to find a final resolution to Spain’s problem with minority nations. During the war, Catalonia as a region was committed to the Second Spanish Republic (although many conservatives actually backed Franco out of fear of social revolution). The crushing impact of Franco on Catalonia’s regional identity was beyond anything previously seen. For almost 40 years Catalonia was governed under military dictatorship. 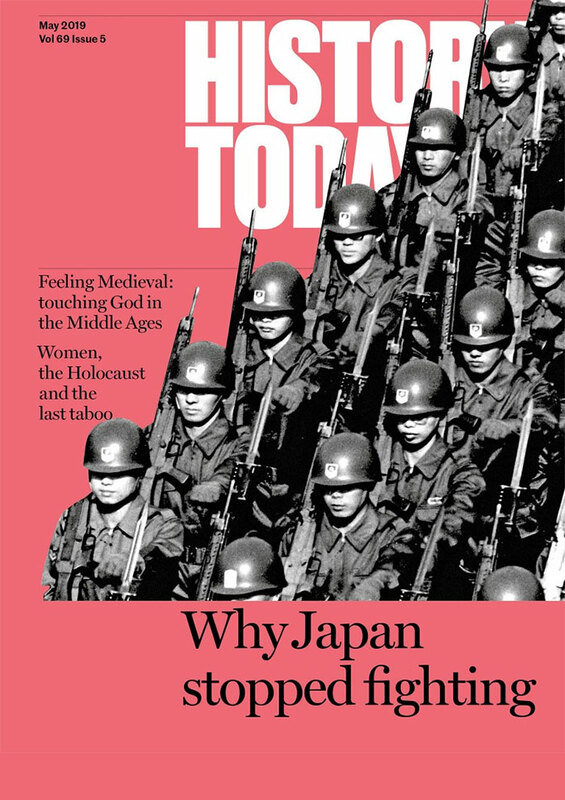 It appeared certain that the national movement would be crushed. Yet this did not happen; Catalan nationalism and identity lay dormant, re-emerging at the end of Franco’s dictatorship in 1975 even more firmly rooted than before the Civil War. As Spain entered a new democratic era in the mid-1970s, it once again faced the Catalan problem. The compromise known as the semi-autonomous system created between 1978 and 1981 gave Catalonia, and 16 other regions, their own regional parliaments. At the same time, the new Spanish Constitution of 1978 legally embedded the unity of Spain as a permanent feature. The legacy of the Franco regime did not end in 1975: Spain had undergone economic modernisation under Franco and other areas of Spain closed the economic and cultural gap with Catalonia. Madrid seemed to take the cultural mantle from Barcelona in the 1980s, while the importance of agriculture faded to minor significance. Catalonia could no longer feel uniquely culturally sophisticated and industrialised in contrast with a semi-feudal Spain. The rapid modernisation of the Spanish state, particularly in the 1960s, had big implications for the future trajectory of Catalanism. Catalan industrial dominance in Spain had lasted from the mid-19th to the late 20th century. Today it contributes 18.5 per cent of Spanish GDP and produces 26 per cent of Spanish industrial production. Its economic importance can be usefully contrasted with that of Scotland within the United Kingdom, which is much smaller. Arguably an independent Scotland would have little impact on the United Kingdom’s economy, yet the departure of Catalonia would be a disaster for Spain. Since 1975, there has been a remarkable transformation in the role and position of the Spanish capital, Madrid. The traditional view of Spain’s capital as the home to a civil service and agricultural elites, dominating industrial Barcelona, can no longer be sustained. Many Catalans, however, remain attached to a culturally constructed view of themselves as the most advanced people on the Iberian peninsula. Madrid’s post-Franco triumph and the declining influence of Barcelona – and, with it, Catalonia – has fed the contemporary pro-independence movement. Yet under the umbrella of Catalan nationalism, the desire for independence is a relatively late development. Until the late 1930s and the onset of Civil War, the Catalan labour movement – which has always been especially strong in Catalonia because of the region’s industrialisation – was unique in Europe because of its attachment to anarcho-syndicalism. No city in human history has ever experienced the dominance of anarchism as much as Barcelona. The anarchist movement, unlike Leninist-Marxism, never sought to create an ideology sympathetic to nationalism and remained highly committed to internationalism. The pro-independence movement, therefore, was unable to obtain either the support of the labour movement or the bourgeoisie. As such, the movement for independence was fragmented and weak and continued to be so well into the 1970s. In the elections for the first Catalan parliament in 1980, no openly pro-independence candidate was elected. However, after the fall of the Berlin Wall and the end of communism in 1989, the association of the independence movement with the revolutionary left waned. In the 1990s, the concept of independence increasingly entered mainstream political discourse, though it was little more than a rhetorical dream. Today, the struggle for Catalan independence can be considered a middle class revolt. Middle class radicalism rarely occurs, but it is most likely to manifest at times of political alienation. This is exactly what has happened in Catalan society over the course of the 2000s. Once cautious organisations such as Òmnium Cultural, which has spent decades promoting Catalan language and identity, have taken the lead in pro-independence activity, leading to the emergence of ‘respectable rebels’. Both before the economic crisis and since, middle-class sectors in Catalan society have seen the erosion of their elevated position as a rich region of Spain. This has challenged the self-perception of middle-class Catalans. With the arrival of the economic crisis in 2008, Catalans became greatly discontented at the financial contribution they made to Madrid, while businesses closed and employment opportunities dwindled. These economic grievances have led to the intensification of alienation from Spain. From the 1880s until the late 1970s, the Catalan question was one of the biggest unresolved questions facing Spanish politics. With the restoration of some autonomy in 1978 – which included the return from exile of, Josep Tarradellas, President of the Catalan government-in-exile, it seemed that the issue which various regimes had been unable to resolve had achieved a consensual solution. The settlement of 1978 was generally successful until the economic crisis of 2008 shattered it. That is why, from the late 1970s until around 2005, when observers looked at Spain and saw a nationalism problem, it was almost always related to the Basque Country. The Catalan question seemed technical, even uninteresting. There were disputes about the Catalan education system and other issues, but these rarely made it onto the pages of foreign newspapers. In the 1990s, many leading Catalan nationalist politicians and intellectuals became excited that a new wave of globalisation was eroding the traditional nation state and would provide new opportunities for a territory like Catalonia. When these hopes began to fade, these same politicians sought to extend their powers of autonomy. In 2006, the main Catalan parties, from left and right nationalists, to socialists and post-communists, completed the draft of a new Statute of Autonomy. Its aim was to permit the consolidation of regional powers for future decades. However, Spanish conservatives interpreted this document as a threat to Spanish unity and it was sent to the Spanish Supreme Court to pass judgement. The Court took four years to decide and when it finally did so – against the Statute of Autonomy – its judgement seemed to add insult to injury, as Catalonia and Spain were in the midst of the worst economic crisis since the 1930s. The belief spread that no decent deal for Catalans was possible by staying within Spain. Year by year after 2010, support for independence grew, even reaching figures over 50 per cent in 2013, though later falling. Mass demonstrations have taken place every 11 September since 2012. Independence for Catalonia has become the single biggest political movement in the region, though it remains unclear whether it has the support of even half of the population. Catalan attempts to break from Spain and the absolute determination of the Madrid government to prevent it from doing so, means that a once low intensity conflict, has entered a new phase: the Catalan question has become Spain’s biggest political problem. Andrew Dowling is Senior Lecturer in Catalan and Spanish History at the University of Cardiff and author of The Rise of Catalan Independence: Spain’s Territorial Crisis (Routledge, 2017).